Berkeley College President Michael J. Smith has announced a realignment of operational leadership at the institution. These changes go into effect January 2, 2017. 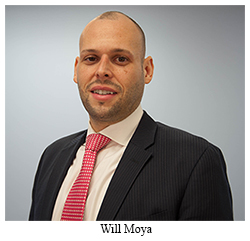 Will Moya, Campus Operating Officer (COO) of Berkeley College in Midtown Manhattan, NY, has been promoted to Vice President of Campus Operations, system-wide. In this role, Mr. Moya will oversee the team of Berkeley College COOs, as well as initiatives benefiting students and their paths toward academic success. Ted Havelka, COO, currently at the campus in White Plains, NY, will serve as COO in Midtown Manhattan; Joel Martinez, COO, currently at the campus in Newark, NJ, will transfer in that position to Berkeley College in White Plains; Earl Brown, Business Developer, Career Services, Berkeley College, Newark, has been promoted to COO in Newark; and Michael Russo, Associate Vice President, Enrollment, will become the COO in Woodbridge, NJ. Each COO will handle day-to-day operations, collaborating with all departments to ensure that the policies, procedures and goals of the College and their respected campuses are met. They will also continue to build and strengthen partnerships with businesses in their communities that support the growth of internships for Berkeley College students, leading to permanent career positions. Photo Caption: A realignment of Berkeley College administrative operational leadership takes effect on January 2, 2017. Will Moya (top), has been promoted to Berkeley College Vice President of Campus Operations, system-wide. 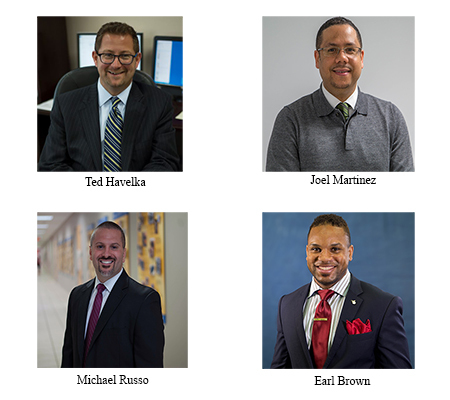 Clockwise from top left (Above): Ted Havelka, promoted to Campus Operating Officer (COO) of Berkeley College in Midtown Manhattan, NY; Joel Martinez, promoted to COO of Berkeley College in White Plains, NY; Earl Brown, promoted to COO of Berkeley College in Newark, NJ; and Michael Russo, promoted to COO of Berkeley College, Woodbridge, NJ.